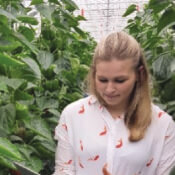 Klimlink, developed by agritechnologist Wim van Vliet, enables growers to bring together large amounts of data available from greenhouse horticulture companies (most often from climate computers) onto a single, intuitive platform. Without high costs or subsidies, Klimlink opens the door to many additional applications, making data available for deeper analysis. 30MHz partnership and integration with Klimlink offers enables growers to connect data from any climate computer to the 30MHz wireless sensor platform, providing a deeper real-time understanding of crop needs on both macro (climate computer data) and micro (wireless sensor data) levels. The result is tangible insights customers can respond to, preventing crop loss and saving energy. Any systems that generate data can be linked together via Klimlink, and made immediately available in the 30MHz dashboard, with heatmaps, alerts, graphs, and other interactive visualizations.